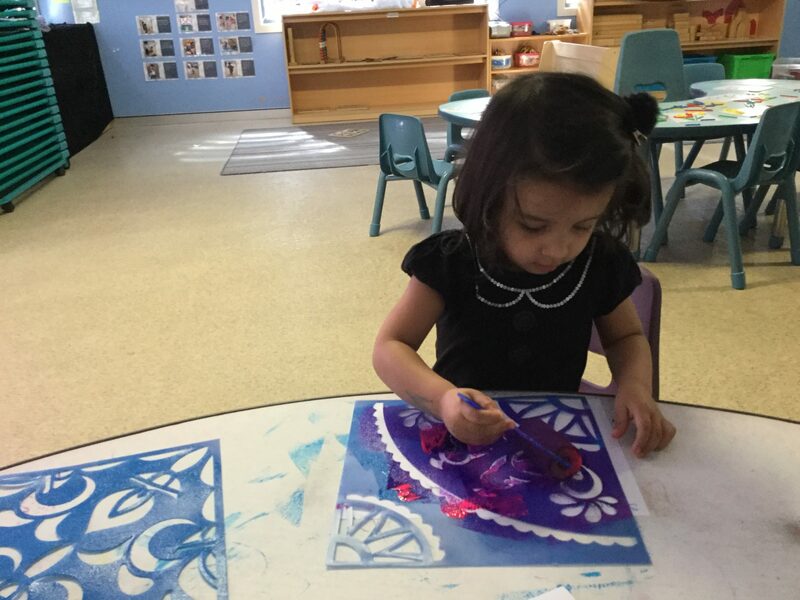 On Wednesday the 7th of November, Kinder Kare celebrated Diwali - the Hindu Festival of Lights. 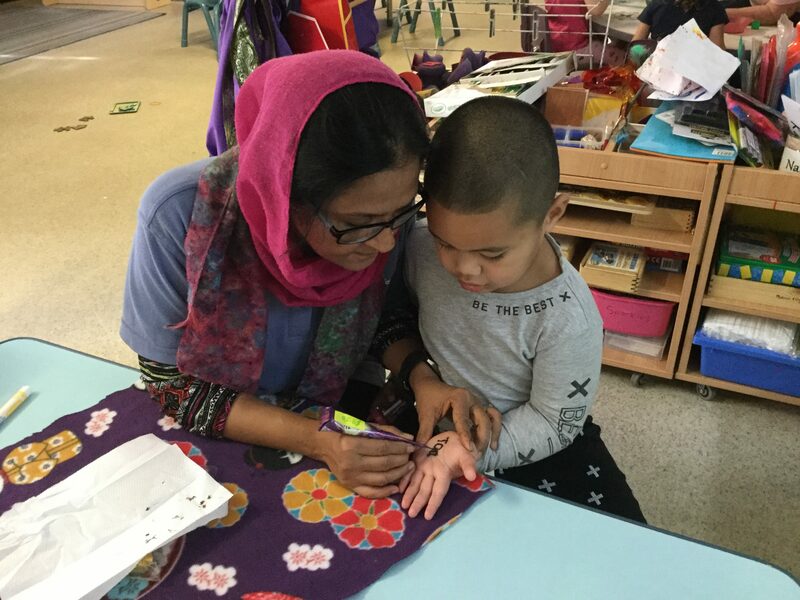 Several children came dressed in their traditional celebratory clothing, and a few families generously provided sweets for the staff and children at the centre. 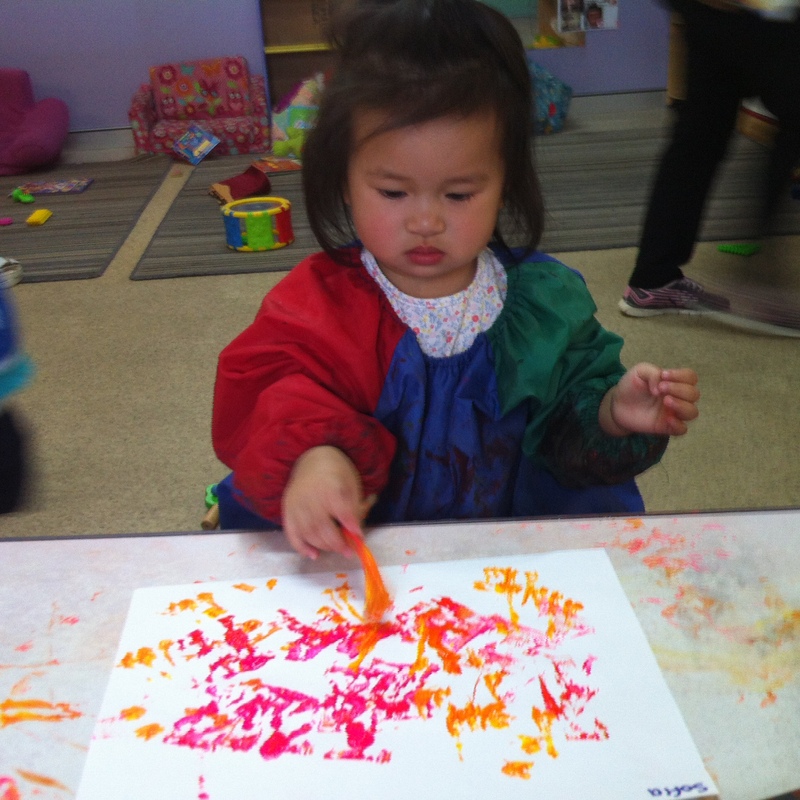 Each child on the day had a turn of creating a coloured sand painting and traditional Ragoli printing. 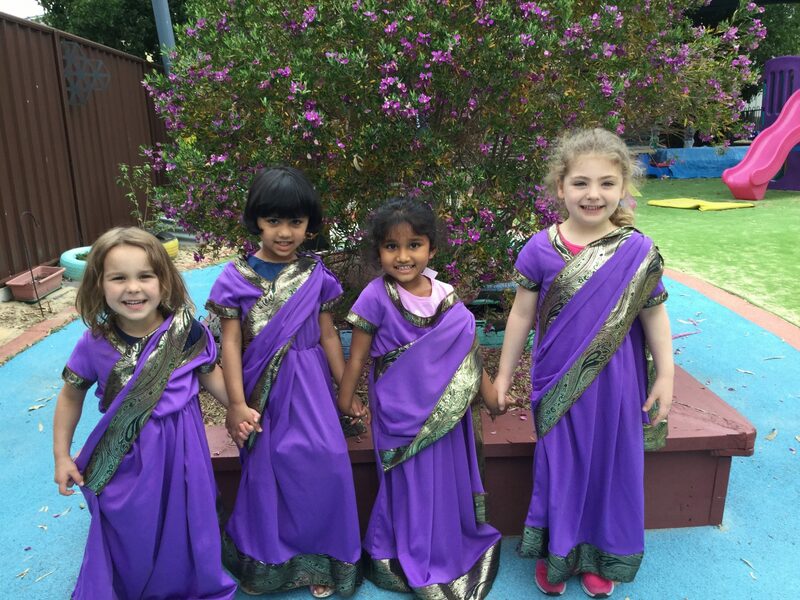 Cultural music was played throughout the centre for the children to dance to, and the girls were dressed in Saris. Bindis were provided to boys and girls to wear on their forehead. 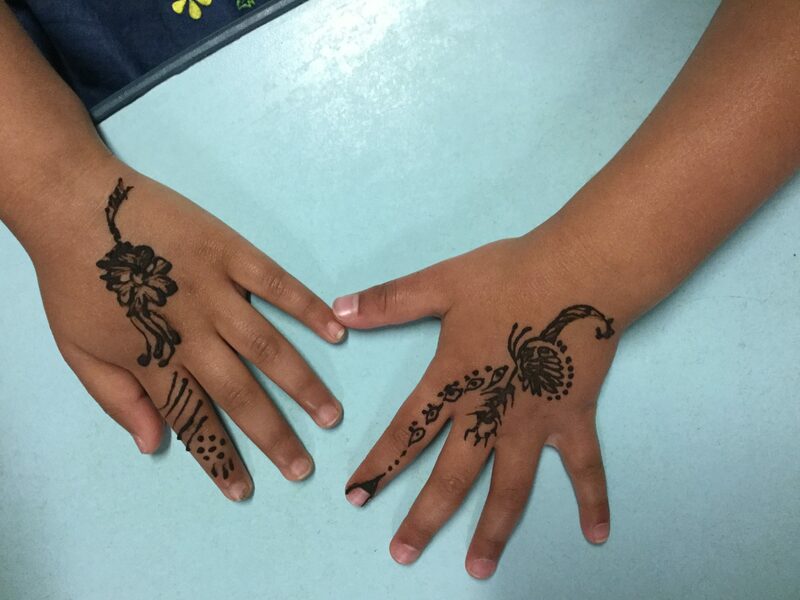 Shahan created henna tattoos on children's hands (who had been granted permission from their mums and dads)! 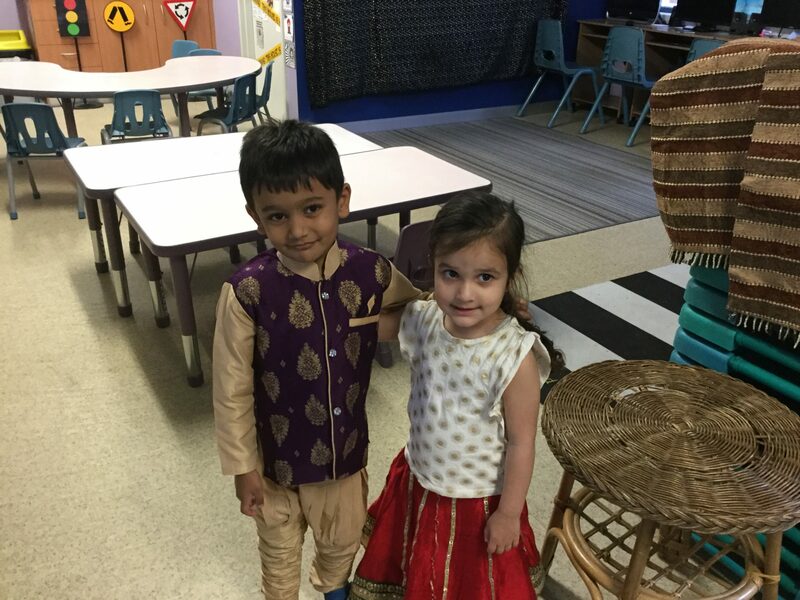 At Kinder Kare we embrace and celebrate cultural diversity!